Ever since our short foray into Yellowstone fifteen years ago, we’ve been a bit down on our national parks. Yes, the scenery was amazing, but I didn’t remember the spectacular beauty that has been preserved for generations as much as I remembered the traffic. I did remember the moose, bears, elk, and bison that we encountered on our drive through the park, but not as much as the hordes of people scaring them away at every turn. To make matters worse, we had dogs in Yellowstone. Dogs don’t mix well with most national parks. Last summer we decided to give the national parks another go, this time without canines, and I’m so glad we did! There are 400+ national parks, historic sites, and monuments in the United States. All are run by the federal government and dedicated to protecting a naturally or historically significant place for all the world to discover and enjoy. On our recent cross-country journey, we visited 9 national parks, 2 national historic sites, and one super awesome national lakeshore. 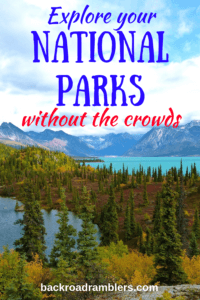 Yes, there were crowds and a bit of traffic, but with some planning, we were able to bypass much of that and focus on the unspoiled landscapes, animals, and cultural attractions that make up the National Park Service. A true gift to the people for generations to come. North Cascades National Park. One of our favorites! We learned a few things this year about how to avoid the crowds in national parks, and we want to share what we’ve learned with you. The truth is that many national park visitors never leave their vehicles. They tend to visit in the middle of the day, make pilgrimages to all the most popular spots, and head to the nearest town when bad weather hits. If you’re willing to take the path less traveled by, you’re bound to find yourself alone in your national park of choice. Here’s a national park guide for avoiding crowds and immersing yourself in the beauty of these spectacular places. The best way to steer clear of crowds is to visit when they aren’t around, especially if you are sticking to the more popular parks. In the middle of summer, we were only able to drive through Yosemite National Park. There were no campsites, no parking spaces, and definitely no solitude. We stopped for a photo-op and kept on driving. Weekdays are not as busy as weekends, but honestly, during a park’s busy season, every day can be pretty nutso, at least at the more popular parks. Holiday weekends are the absolute worst. 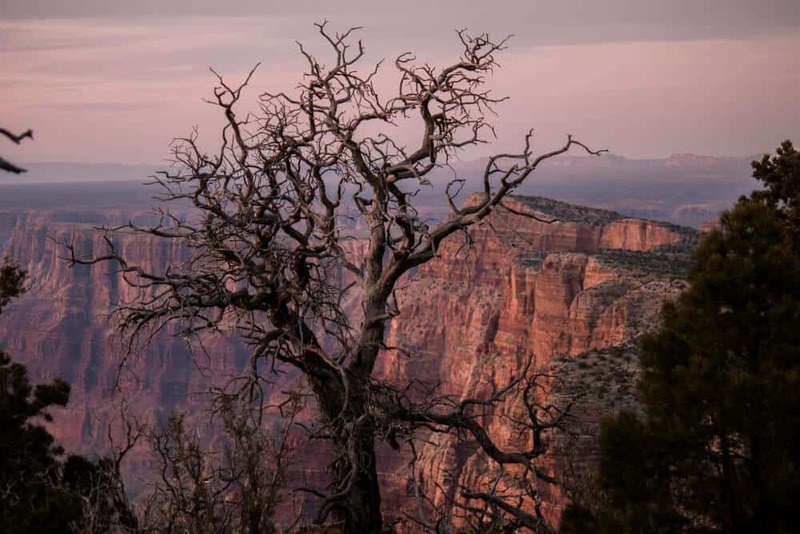 Southern national parks and those located in the desert experience their busiest season in the winter, but most of our national parks are the most crowded during the summer holidays. If you can visit your favorite national parks in the winter, you will find a different kind of beauty that many people never get to witness. Wildlife is often quite active in the winter, and the snow-covered landscape makes for fabulous photo opportunities. 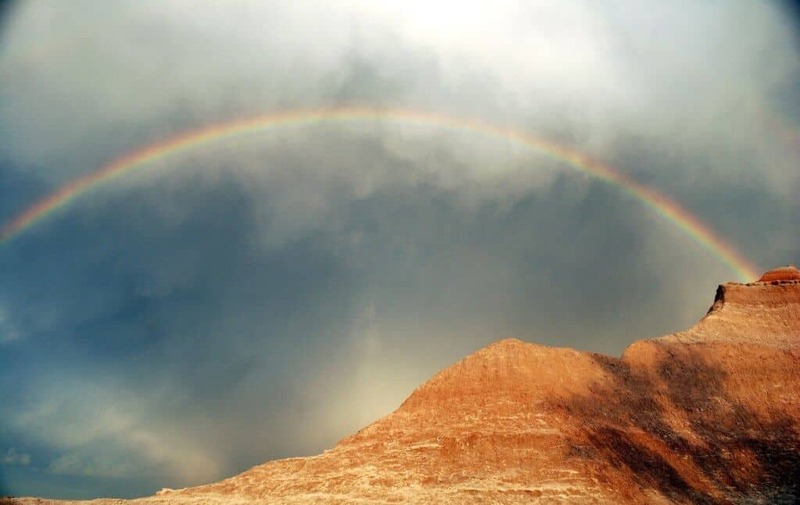 Another perfect time to visit many national parks is in April or October. This is considered the shoulder season for many parks. The climate will be milder than winter or summer, and the crowds will be minimal. In the spring, you will be treated with wildflowers and baby animals. Fall is great for viewing foliage, and it’s the rutting season for many large mammals – moose, deer, elk, and bison. The truth is, we are loving our national parks to death. Many parks are working with a limited staff and budget, and are struggling with visitor numbers that strain their resources to the breaking point. Overcrowding in our parks affects wildlife, damages roadways, and erodes trails. This is not to say that we should all stop visiting our national parks. Without visitor dollars, the parks would not have the resources they need for sustained management. 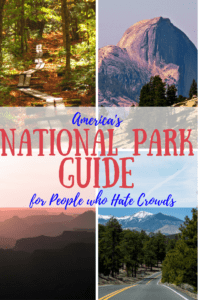 We can, however, ease up on our most popular parks – Yosemite, Yellowstone, and the Grand Canyon, and visit some of the less popular parks. The more out of the way national parks are the ones that amaze us the most every time. The experience becomes more personal and because there are fewer crowds, you can do and see more. Even the most underrated national parks are AMAZING to behold, I promise. Camping in national parks is a great way to beat the crowds. Are we the only travelers naive enough to think that we could just breeze into our favorite national parks on a cross-country road trip and set up camp at the first open site? Just in case we’re not the only ones, you should know that snagging a campsite or a room at a national park, especially during the busy season, is near impossible. We don’t enjoy planning every road trip down to the minute, but with national parks, it’s kind of a necessity and will make your trip go so much smoother. If you really aren’t a planner, your other option is to sleep outside of the national park that you want to visit the night before and then head into to the park in the morning to start looking for open sites that can’t be reserved ahead of time. 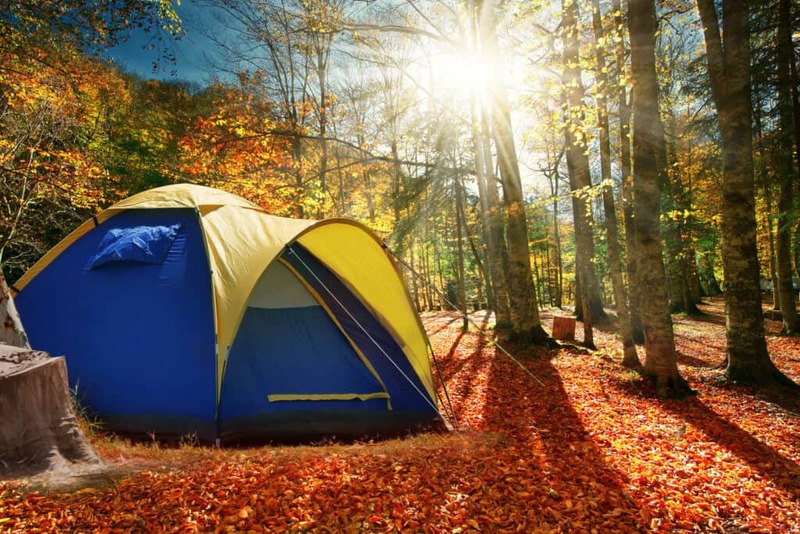 The National Parks website will list which campgrounds are first-come-first-served, and they will also give you tips for scoring a site. Once you find your campground of choice, you can look for people packing up and heading out, and wait patiently for them to leave so you can snag their site. I find this method kind of stressful, but my husband prefers not making reservations because he doesn’t want to be on a fixed schedule, so we compromise and do a mixture of both. One phenomenon we have noticed in a few national parks now is that rain scares away tourists, and really brings out the beauty of a place. We spent a few days in Bryce Canyon a couple of years ago. On the first day, it was bumper-to-bumper traffic, and every vista and pull-off was full. The next day, a storm rolled through and it rained buckets. We had our trusty rain gear, so we headed into the park anyway. We saw the most beautiful rainbow (at Rainbow Point of all places), and there were just a handful of cars driving through the park. All of the pull-offs were empty. All of the trails were deserted. We decided that the secret is to invest in the right clothing and get outside when everyone else wants to be in. Did you know that 80% of national park visitors never leave the roads, visitor centers, and parking areas? 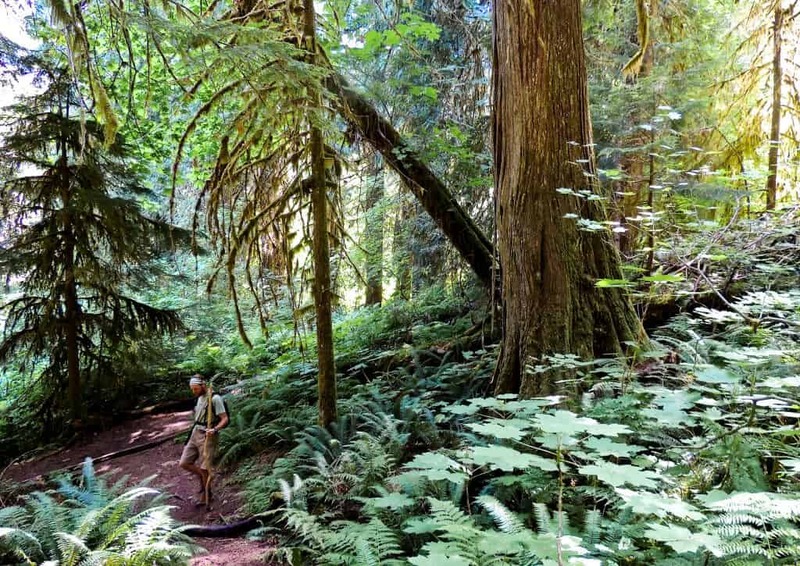 Even short trails are usually uncrowded, and if you do a little research beforehand, you can find extreme solitude, incredible beauty, and lots of wildlife. 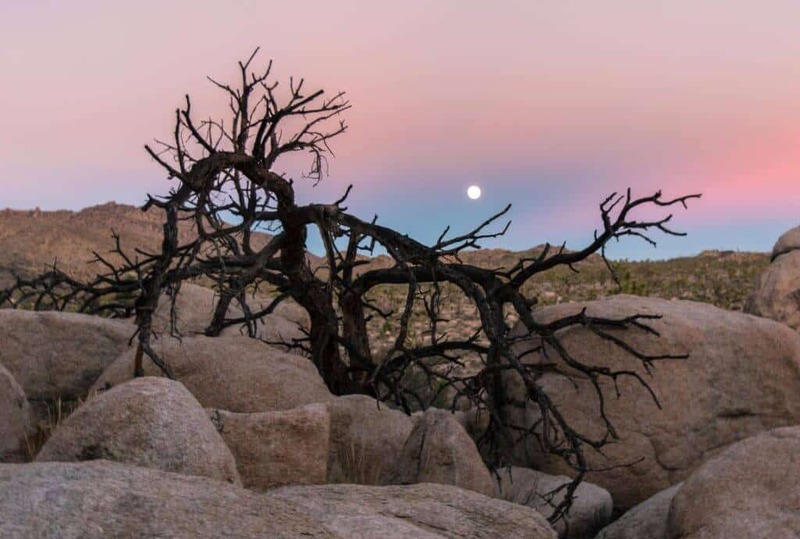 Choose trails that are in remote parts of the national park you are visiting, or consider a backpacking trip, where you can spend days in your park of choice without seeing another person. I use AllTrails to read reviews of hikes beforehand. In addition to their website, they also maintain a handy app, so I can look for trails when we’re road tripping. There are so many reasons why the early morning and late evening are awesome for exploring national parks. The light is better for photography, you are more likely to see wildlife, and of course, there are fewer people in the parks. One of our most memorable national park experience was driving the loop road around Theodore Roosevelt National Park as the sun was setting. Because we were the only car on the road, we got to set our own pace. We stopped at every overlook, watched bison babies nursing while their mothers grazed on the prairie grass, and saw a herd of wild horses running next to our car. This would never have been possible if we were sharing the experience with a hundred other cars, but everyone was already tucked into their hotels or back at camp making s’mores. The way we plan our days in national parks now (unless we’re hiking) is to wake up before sunrise to drive to the most popular sites. We watch the sun come up, look for animals, and take lots of photos. We do the same thing in the evening, making sure that we have our big meal in the middle of the day, so we don’t have to spend the best hours eating or washing dishes. Okay, so this really doesn’t have anything to do with avoiding the crowds, but you only have to visit three parks a year to make the National Parks pass worth the money, and we find that we are way more likely to detour into a park if we already have the pass. The National Parks pass for this year is $80, and you can buy it online or at any national park. It covers entrance fees into the park for the driver and all passengers of your vehicle and is valid for one year from the month of purchase. If you buy your parks pass at REI, they will donate 10% of all sales to the National Park Foundation. Pin for later? I’d really appreciate it! Great guide!! And I can totally relate to disliking the huge crowds you find at some of these national parks, it makes it that much harder to disconnect and enjoy your surroundings. Getting off the roads and onto the trails is the best advice! I couldn’t believe how many people I met in Joshua Tree who only drove to spots to take pictures and stayed in their campsites the rest of the time. I really don’t think you can get the true essence of the wildlife and what the park has to offer that way. What great ideas! I especially like your idea of visiting on a rainy day, and talking with the rangers. I have relatively close access to parks in my area, and definitely remember your recommendations! Great tips! It’s never fun to go looking for wildlife only to find the crowds are keeping the animals away! Did a 5 month road trip through the US and loooved seeing the national parks. Was incredibly lucky with the weather in March in Utah and got to see all those parks (Zion, Arches, Bryce, Canyonlands, Capital Reef) without any crowds. It was an incredible experience! Your photos are great! I always love to visit parks and go hiking when traveling. These tips are so useful! Great photos and tips! I love traveling to beautiful places and really enjoy going in the offseason to avoid a lot of crowds. Yellowstone is terribly crowded in the summer and that can make it extremely hard to enjoy. 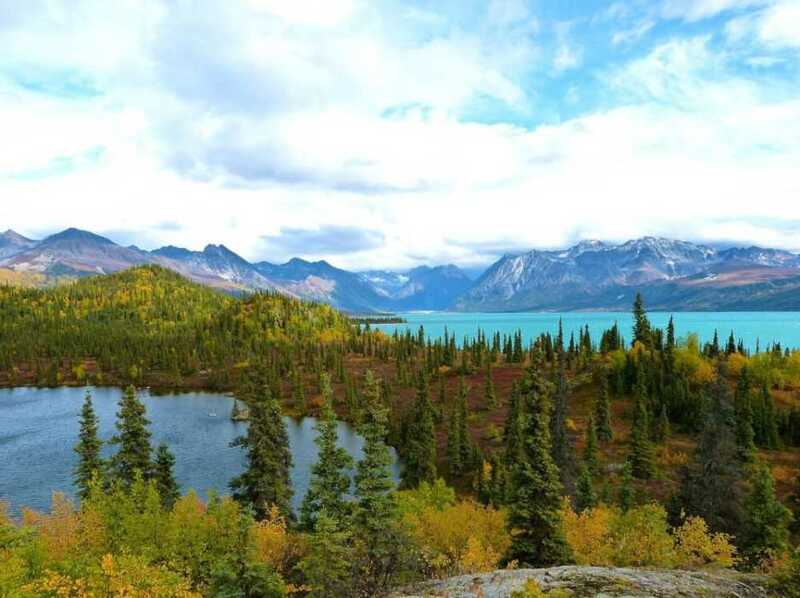 I’m looking forward to going to Theodore next summer along with (hopefully) Glacier National Park. I love reading about your National Park adventures. I have your image pinned to Pinterest so I can refer to it later this summer for road-trip inspiration! Awesome, Denay! I know I talk about traveling in the off season, but summer is definitely my time to get out there as well. I haven’t been to a really big National Park like Yellowstone, but I am lucky to live right next to Valley Forge park! I actually have to drive through it every day to get to work. It may not be a big one but it is beautiful, historic, and worth visiting. Becky, I’ve never been to Valley Forge. I’d love to check it out! We only have one national park in Vermont, actually it’s a national historic park, but still run by the NPS. Great tips! I wish we had more time when we were up at Glacier NP this past summer. I would have liked to have gone on more of the trails versus just the main road attractions. There are so many national parks and I can’t wait to explore more of the less touristy ones! Thanks for the tips! I don’t like crowds either, Crystal, but once I figured out how to bypass the crowds, I fell in love! Great tips. I can’t wait to explore more of the country. Road trips are the best! I agree, Mina. We had a long winter here in Vermont, and I’m with Willie. I can’t wait to get on the road again! Thank you for reading.